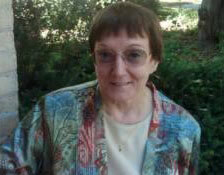 Phyllis Kasper, PhD. offers psychotherapy with adults for problems such as: depression, anxiety/panic phobias, obsessive compulsive disorders, mood disorders, chronic pain and Post-Traumatic Stress Disorder (PTSD). She uses a variety of techniques such as : CBT (Cognitive Behavioral Therapy), EMDR (Eye Movement Desensitization & Reprocessing), biofeedback, meditation and hypnosis. She uses Dr. Palsson’s protocol for alleviating symptoms of Irritable Bowel Syndrome. To learn more about hypnosis, you can download Turning Within. This is a short sample of hypnosis with Dr. Kasper encouraging your creative inner mind and her colleague Bob “Blackwolf” Jones reading from his book, Listen to the Drum: Blackwolf Shares His Medicine. To learn more about biofeedback, you can download a short video created by the Biofeedback Society of Wisconsin here. See Nature’s Pathways Articles published in the NorthEastern Edition. “As an athlete I am always searching for ways to improve. Whether it be a new method of training, or a change in diet, there is and will continue to be ways to improve. Roy Pirrung -Roy is a World and American ultramarathon champion, American record-holder and member of the USA Track and Field Masters Hall of Fame. The National Register of Health Service Providers in Psychology - The National Register document therapist credentials and helps the public locate therapists in their area.